Our mission statement: to provide emotional support for cancer patients and their caregivers that extends beyond normal boundaries. The Jeffrey Frank Wacks Memorial Fund was established in 1996 to assist cancer patients being treated at the Carol G. Simon Cancer Center and on the Franklin Four Inpatient Oncology Unit. Our first major gift was designated for the refurbishment of the Family Room on the Inpatient Oncology Unit. During Jeffrey’s long stays in the hospital, it became increasingly apparent to his family that there was a need for a quiet spot away from the sterility of the hospital room where patients could come and spend time with family and friends. We decorated the new Family Room with the comforts one associates with a home and made it a welcoming oasis that has hosted birthday celebrations, family meals, ice cream and cookies with grandparents, and even a wedding. In 2000, Music in the Atrium, our most popular environmental music program, was launched. On Wednesday mornings, the lobby of the Carol G. Simon Cancer Center is transformed into an inviting haven filled with soothing music, light refreshments, and specially trained volunteers who ease the way for visitors coming for treatments, tests, and doctors’ visits. 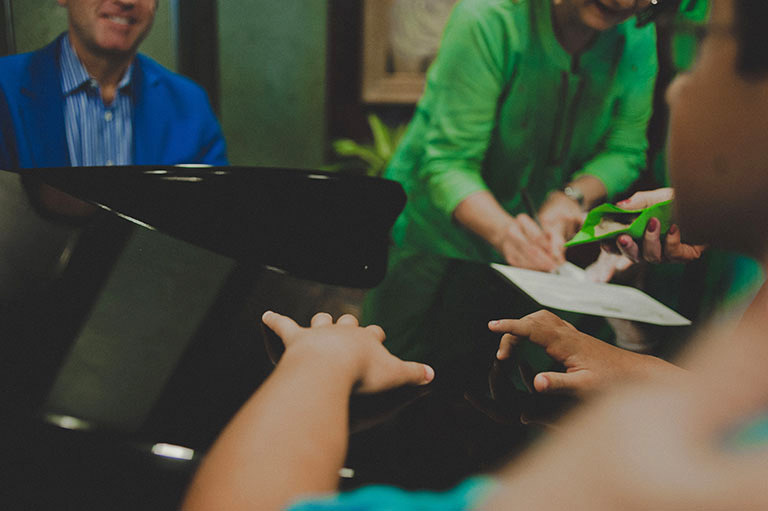 In 2001, the Jeffrey Frank Wacks Music Therapy Program was born. It was the brainchild of Patrice Light, RN, one of the many dedicated oncology nurses who cared for Jeff during his illness. Knowing his love for music and our passion to provide patient support, Patrice suggested that we research and consider funding a music therapy program. Excited by our findings and the research that exists on the positive effects of music therapy, we hired a part-time music therapist, Leah Oswanski, MA, LPC, MT-BC. 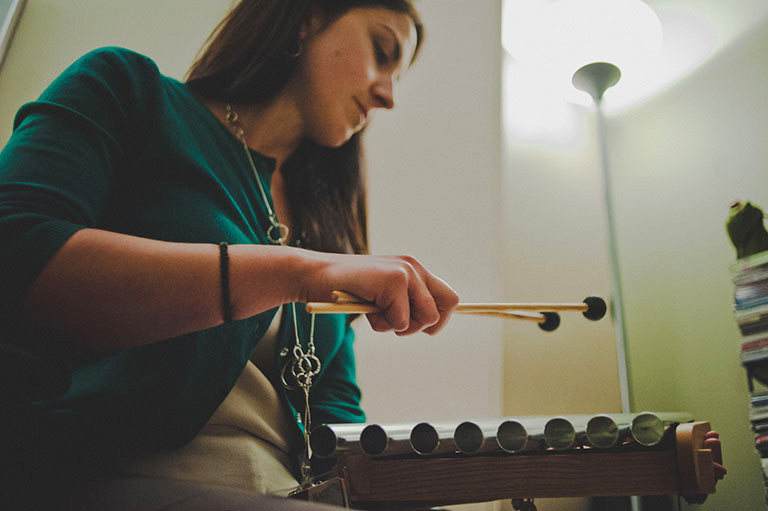 Ms. Oswanski’s professional training, vast expertise, and enthusiasm for the job easily convinced us that Morristown Medical Center and its patients deserved to benefit from music therapy. Today, Ms. Oswanski oversees several music therapists working in all aspects of care and with all cancer diagnoses. She coordinates and executes one-on-one clinical sessions, along with Healing Through Drumming, Toning, Jazz on the Plaza, The Strolling Harp, and Volunteer Musicians, as well as Music in the Atrium and High Tea. She has partnered with doctors and nurses to generate and publish research validating the importance of music therapy and has presented at worldwide conferences for the American Music Therapy Association. A leader in her field, she is recognized for her skills, compassion, and stellar ability to expand and promote vital programs. Our future is bright. 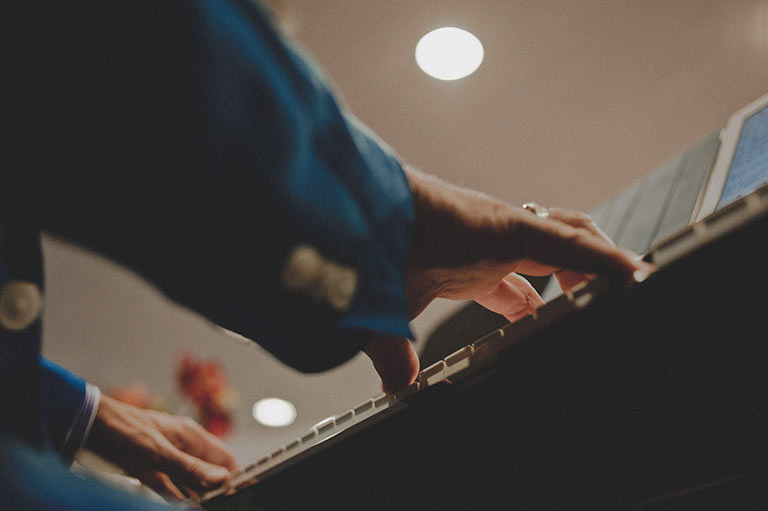 In early 2014, the Jeffrey Frank Wacks Music Therapy Program received a grant from LIVESTRONG to serve as the model for music therapy programs in hospitals across the country. To date, thirteen hospitals, chosen from the more than seventy who applied, have received LIVESTRONG grants to replicate our program. Ms. Oswanski will mentor and assist them in their start-ups. She will be available as a consultant to guide them in the months ahead and address questions and problems as they arise. The Jeffrey Frank Wacks Memorial Fund has a strong following. Local garden clubs, small businesses, and numerous nonprofit organizations have welcomed and supported us with grants, products, and services. We have hosted three sold-out Cabarets, which were produced and directed by Bob Egan, pianist and host, and we continue to raise funds through yearly mailings. To date, in excess of $1,000,000 raised by the Jeffrey Frank Wacks Memorial Fund is used entirely for complimentary services for patients and caregivers dealing with cancer.